Philippine Society of Mechanical Engineering ZAMBASULTA President, Engr. 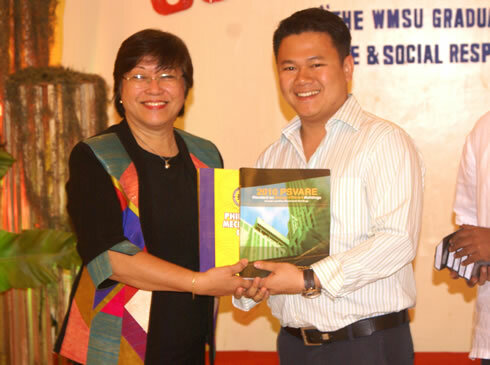 Jaydrick A. Yap hands over a copy of the instructional materials to WMSU President, Dr. Grace J. Rebollos. ZAMBASULTA (Zamboanga-Basilan-Sulu-Tawi-Tawi) Chapter of the Philippine Society of Mechanical Engineers (PSME) donated instructional materials to the university’s College of Engineering and Technology-Mechanical Engineering Department. The turnover of the materials was held last March 31 during the university’s post-graduation party at the Grand Astoria Hotel’s Celebrity Hall.